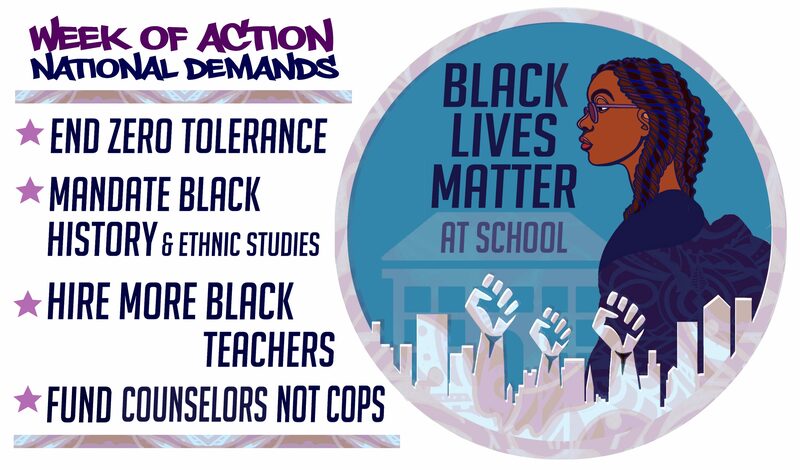 On Friday, January 25, 2019, the national Black Lives Matter At School coalition held a webinar to share some of the major developments in the planning for this year’s week of action from February 4-8. Educators from around the country presented on the plans to fight racism in education. The list of events taking place around the country is truly amazing, including, curriculum fairs, student talent showcases, protests, walk-ins, panels, classroom lessons, and more. Watch this webinar for inspiration–then join us in the movement!